Paul Jacobs was appointed to the faculty of the Juilliard School in New York in 2003 at the age of 26 - one of the youngest ever to join that faculty - after completion of graduate studies at Yale University, He is also a graduate of the Curtis Institute of Music in Philadelphia. Paul Jacobs came to national attention as a concert organist in 2000 when he twice performed the complete organ works of J.S. Bach in 14 consecutive evenings, in New York City and Philadelphia. Later in the year he trumped that achievement by performing the complete works again in a spectacular 18-hour non-stop marathon in Pittsburgh. In 2002 he performed the complete organ works of Messiaen in a series of one- day marathons in six American cities: Chicago, Washington DC, Atlanta, San Francisco, Minneapolis, and Seattle, and in 2004 he repeated the one-day Messiaen Marathon in New York City. In 2000 he was a featured performer for the national convention of the American Guild of Organists in Seattle, and he was the featured artist for the national AGO convention in Los Angeles in 2004. He has performed throughout North America as well as in South America, Australia, and in Europe. 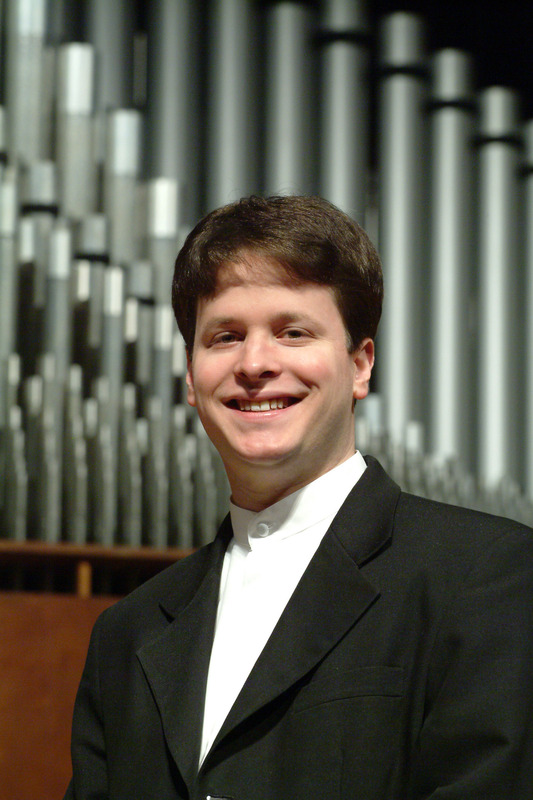 He has won a number of national organ performance competitions and is the first organist ever to be honored with the Harvard Musical Association's prestigious Arthur W. Foote Memorial Award. At Yale University , he was awarded the School of Music's Horatio Parker Memorial Award, the Philip Francis Nelson Prize, the Dean's Prize, and the Faculty Prize of the Institute of Sacred Music. Paul Jacobs has been hailed by the Chicago Tribune as "one of the most supremely gifted young organists of his generation," as "the next great American organist" by the South Florida Sun-Sentinel, and as a "phenomenally gifted and intelligent young artist" by The Diapason. Paul Jacobs began studying the piano at age 6 and the organ at age 13. By age 15 he was appointed head organist of a parish of 3,500 families in his hometown of Washington, PA, continuing his organ studies with George Rau and his piano studies with Susan Woodard. He received a full scholarship to study at the Curtis Institute of Music in Philadelphia, with John Weaver (organ) and Lionel Party (harpsichord), and subsequently earned the Master of Music and Artist Diploma from Yale University, studying organ there with Thomas Murray, who, concidentally, played here in Jackson in March at the First Baptist Church, providing us a teacher-pupil recital series this spring!